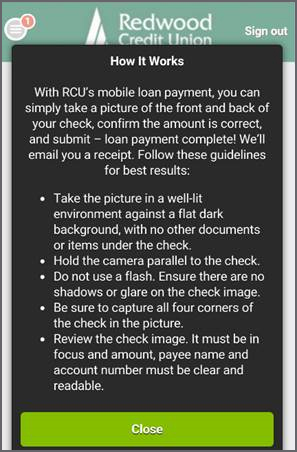 Simply take a picture of the front and back of your check, confirm the amount is correct and submit – loan payment complete! 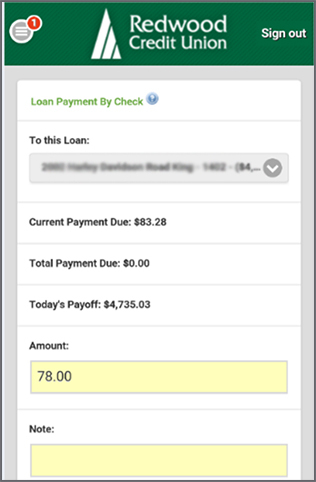 What is a mobile loan payment by check? 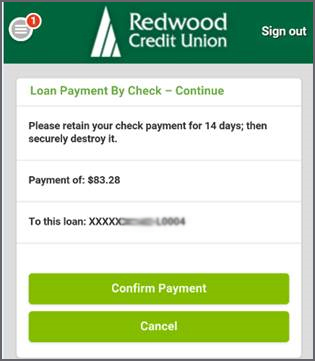 Pay Loan by Check means using your mobile device to perform a mobile check payment, similar to a mobile check deposit. The process is simple and easy to use – it’s the same as a mobile deposit! 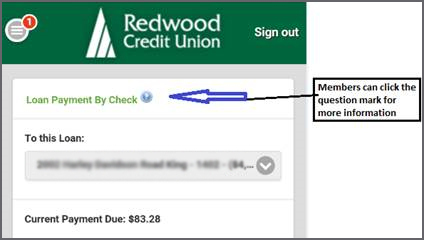 How will I know if my loan payment by check was accepted? 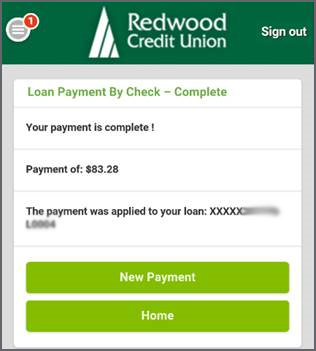 What types of loans can I pay by picture check? 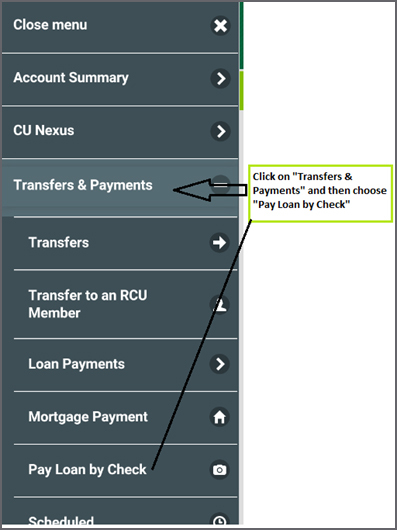 How do I pay a loan by check with the RCU mobile app? Select which loan account from the drop down menu. b. Ensure your check is written for the same amount. 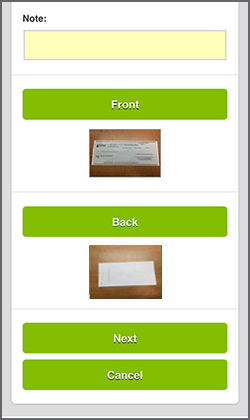 Confirm Payment – you’re complete! If help is needed during the process, click the question mark for more information! How do I make a loan payment using a debit card? How to make a Visa credit card payment using an external financial institution in Online Banking.